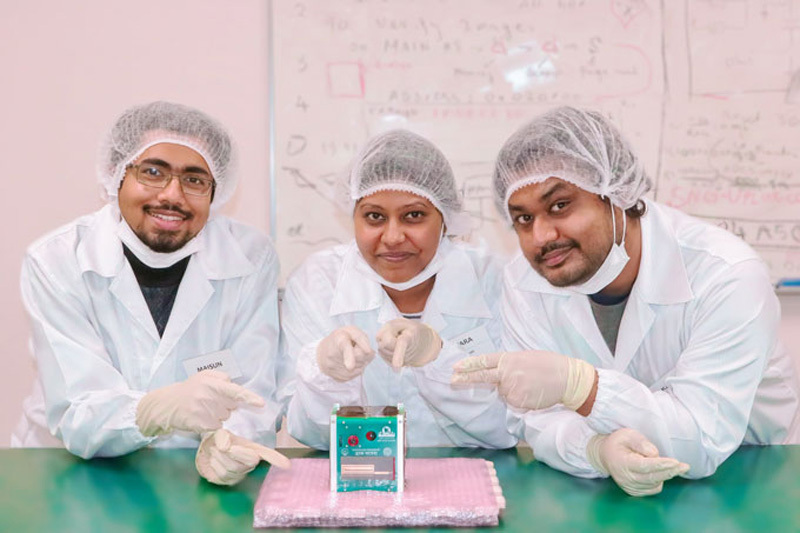 The team of BRAC University students that designed Onnesha, Bangladesh’s first nano-satellite, begs to differ. “Bangladesh needs eyes in the skies precisely because we’re facing so many problems on land!” exclaims Md Shourobh, the ground station team leader. Onnesha might be a tiny box orbiting in space, but her mission is paving the way for Bangladesh’s future generation of scientists – and helping us all to make a world that works for us all. 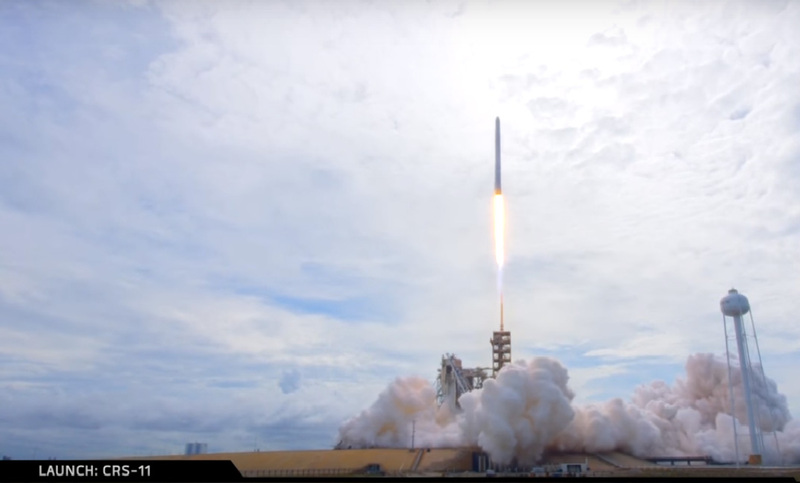 Her journey started aboard the SpaceX Dragon on the Falcon-9 rocket on its second cargo mission to the International Space Station. Falcon-9, a part of Elon Musk’s vision of making space travel cheaper and more accessible, is the first rocket that is capable of re-flight. 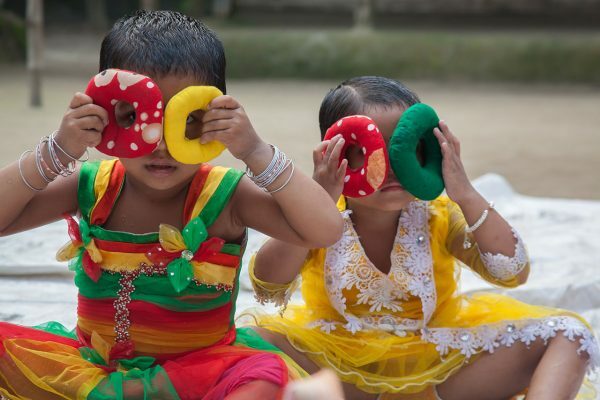 A young team of budding student engineers watched wide-eyed as the NASA representative uttered the name ‘Bangladesh’. Out of over 4,000 man-made objects orbiting our pale blue dot of a planet, there is now one that brandishes the words “Amar shonar Bangla, ami tomay bhalobashi”, 400km above the ground. The satellite was built by BRAC University students, Abdulla Hil Kafi, Raihana Islam Antara and Maisun Ibn Monowar. Onnesha will not be alone for too long though. Bangabandhu-1, Bangladesh’s first geostationary satellite, is set to launch later this year. It will remain stationed above Bangladesh, will cost approximately USD 248 million, and is expected to operate for 15 years. It will reduce our dependency on other satellites; monitor the weather and improve our telecommunications system, saving us USD 14 million on satellite rent every year. Initially dominated by global giants like USA and Russia, the field of space technology and research may, at first, seem like a luxury for a country like Bangladesh. Being ground zero for climate change though, Bangladesh needs to invest in the field more than ever. Climate change severely challenges the lifeline of Bangladesh – agriculture. The industry Employing 47% of the labour force and contributing 16% of GDP, it is heavily vulnerable to natural disasters, putting food security and the livelihoods of thousands of farmers constantly at risk. Satellite imagery can provide topographical measurements of land and water. Researchers, by analysing farmlands and crop patterns, can predict upcoming harvests. This information can be crucial in improving production and bracing for impending disasters. 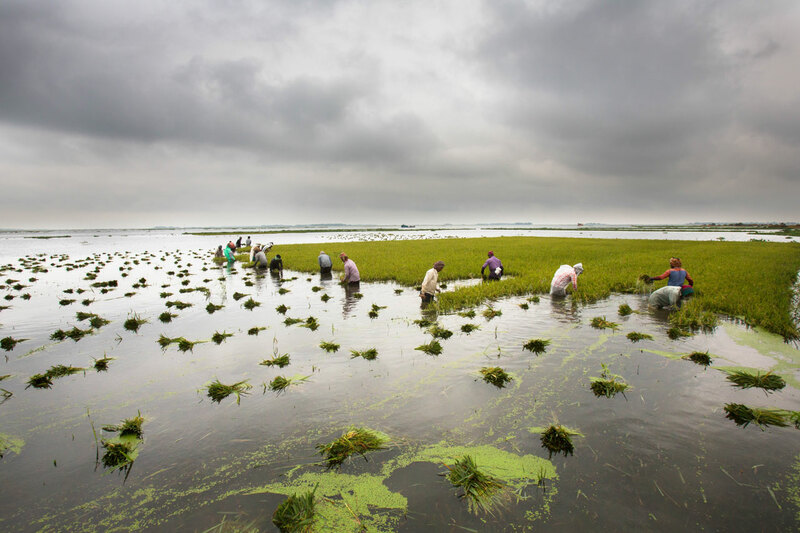 Natural disasters such as the early rains and flash floods in the haor region have drowned a year’s worth of harvest for thousands of farmers. Our climate is changing and disasters are expected to get worse. Climate scientists predict that rising sea levels will inundate 17% of Bangladesh, displacing about 18 million people by 2050. Measurements of land loss without the use of satellite imagery are inaccurate, and can even be falsified. A satellite will also help in responding to these inevitable natural disasters. It will be easier to predict flooding from analysing rainfall, quicker to locate flooded regions and allocate necessary resources. In early 2015, torrential rains led to severe flooding in Malawi, displacing 390,000 people and submerging 220,000 acres of farmland. The United Nations Food Programme responded within 72 hours. Warnings had been issued by their Emergency Preparedness & Support Division, which had monitored Malawi’s weather with tools developed with data from NASA satellites. Should disasters disrupt lines of communications, satellites can ensure an uninterrupted flow of information. Effective communication can be maintained through accessing frequencies through simple radio equipment. With this technology in place in space, it also opens doors to simple solutions on land. “There is a plan in the works – an outreach programme that will arm students in rural areas with antennas, and teach them to access and analyse weather data. They’ll be able to see for themselves if a cyclone is heading towards their region”, Shourabh remarks. With Onnesha in orbit, a universe of opportunities is open for more research in the field of space technology. The BIRDS project’s network of ground stations in seven countries will allow for free flow of data and knowledge, establishing a new platform for international collaboration for research and education. Cube satellites like Onnesha exemplify low cost space tech for observing the earth, designed for specific missions with shorter life spans. They prove that space technology is not only meant for grand otherworldly missions, but can also help to make a better home for ourselves here on earth. 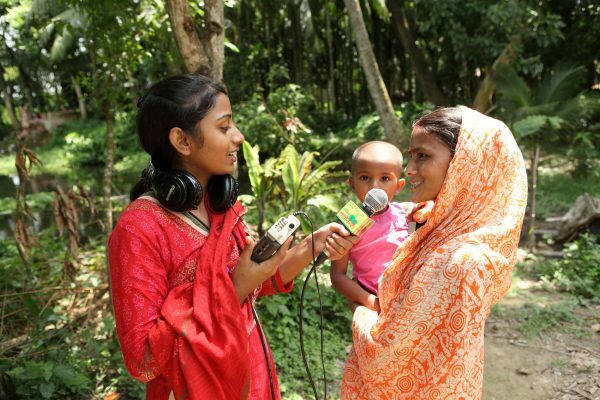 Watch a short video on how Bangladesh can fight climate change with space technology!